SBI is the lead bank of a consortium of Indian lenders that provided loans to the airline. Stakeholders are discussing a resolution plan for troubled Jet Airways, which is facing turbulent financial situation (Photo Ramesh Pathania/Mint via Getty Images). 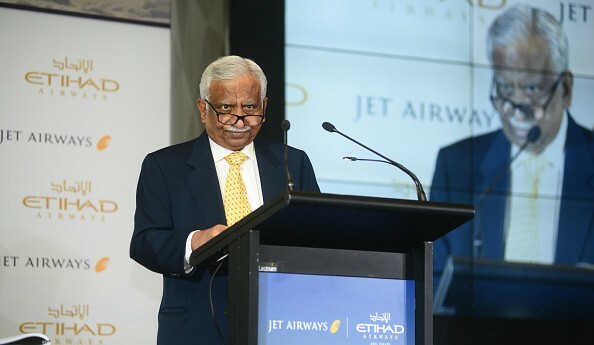 The founder and chairman of India’s Jet Airways, Naresh Goyal said that he is ready to invest up to seven billion rupees in the troubled airline on the condition that his state doesn’t decline below 25 per cent. Goyal’s latest offer emerges against the backdrop of strategic partner Etihad reportedly putting forward strict conditions, including the Goyal need to give up his control over the airline for pumping more funds into the debt ridden carrier. In a communication to India’s state-owned lender, State Bank of India (SBI) chairman Rajnish Kumar, Goyal said that he is writing with reference to the resolution plan under discussion and in the wake of Etihad’s latest stand, “despite the significant cash crunch and imminent grounding, which the airline is facing”. Goyal further added that he is ready and committed to pump funds into the airline to the extent of seven billion rupees and pledging all his shares. This is subject to the condition that his shareholding post such infusion remained at least 25 per cent. “Should this not be possible, then I would not be able to infuse any funds or pledge my shares unless Sebi accords me an exemption permitting me to increase my reduced stake (if it is to be below 25 per cent) without triggering the Takeover Code,” according to the letter. When shareholding of an entity in a listed firm goes beyond a certain threshold, the open offer requirement is triggered under SEBI’s Takeover Code. SBI is the lead bank of a consortium of Indian lenders that passed loans to the airline. Stakeholders are discussing a resolution plan for troubled Jet Airways, which is facing a turbulent financial situation. On the resolution plan which is being discussed, Jet Airways has said that, “we wish to clarify that the resolution plan is presently under active discussion amongst the stakeholders and the various options therein, being privileged and confidential, are yet to be crystallised and agreed to by the stakeholders in the best interests of the company. 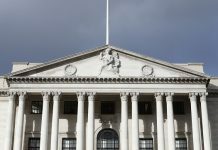 “The company is committed to being in compliance with the applicable laws and will, at the appropriate time, make necessary disclosures and statements in order to ensure transparency and avoid speculations and rumours in respect of the subject matter,” the company added.